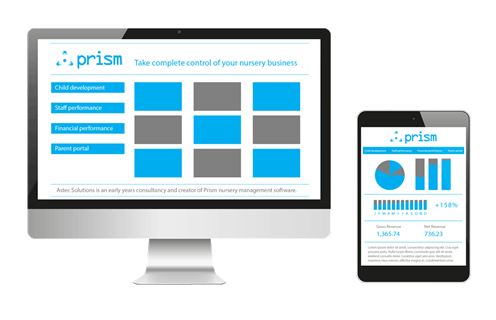 How Prism helped change a nursery’s fortune – literally! After falling victim to the economic downturn and increased local competition, a family-run nursery in south London has experienced a remarkable turnaround – all thanks to an innovative early years management solution called Prism. Despite a strong local reputation and OFSTED ratings, Rainbow Smiles was finding it increasingly difficult to maintain its 50-place operational capacity. Private schools in the area had lowered their admission age, new nurseries opened up and the steady stream of referrals was no longer flowing like it once had. Staffing issues compounded the situation and team motivation was visibly affected. Before long, the nursery found itself operating at a low of 46% capacity and losing money. 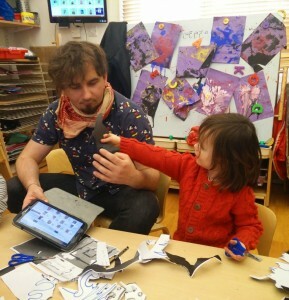 Like many nurseries, Rainbow Smiles had been relying on performance information recorded on paper after the event and based on staff memory. Transferring the data to a computer required duplication of effort and was an inefficient, not to mention inaccurate, way of working. With a reputation for quality to uphold, taking staff off the floor to input data was never a consideration, but hiring more staff to simply transfer the information was not a viable approach either. It was clear that something had to change. Tariq Ayyub, owner of Rainbow Smiles, had never been satisfied that the information he had at his disposal gave him a full picture of what was happening in his nursery. To try to fill in the blanks, Tariq trialled several nursery management solutions but found that they did not provide the comprehensive information he needed to improve both business performance and quality of care. Fortunately, Tariq has a background in IT so he knew exactly what to do: build his own early years management solution. The result of his endeavours is Prism. Developed by Tariq’s early years consultancy, Astec Solutions Ltd, and built from the ground up in the Rainbow Smiles nursery, Prism integrates all of a nursery’s operations and enables him to take complete control of his setting. Instead of the cumbersome paper-based system that had proven such a problem, Rainbow Smiles’ practitioners now use touchscreen PCs and tablets to both access information and update a child’s records. 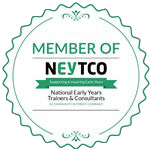 Staff record observations against the EYFS framework in real-time and can even attach photos and videos as evidence without leaving the nursery floor. They can instantly view a child’s progress, see how best to support them on their learning journey and instantly put their plans into action. With all the important information to hand, practitioners are empowered to make effective decisions. In fact, Prism removes the inefficiency from all the essential administrative activities. Child registers, food eaten and nappy changes and are all recorded at the touch of a button – with no paper necessary. There’s even no need to worry about generating invoices, because Prism does it automatically – even when there are multiple bill payers and children receiving free childcare. This all means that practitioners can spend more time with children while managers can focus on overall quality, planning and performance. Everything is directly linked to the integral back office system and available to managers in easy-to-read dashboard displays that show exactly what’s happening on the floor at any given moment. A variety of reports are available on occupancy rates, staff ratios, financial performance much more. The system even provides alerts of any impending issues and highlights trends – making it easy for managers to confidently decide where to direct their valuable resources. Prism’s unique staff performance reports had a huge positive impact on staff motivation at Rainbow Smiles. With the ability to identify team and individual strengths and weaknesses, managers have been able to create tailored action plans that support individual practitioners in their personal development. In some cases, external training has been identified to help close skill gaps, but the majority of learning comes from examining the reports with teams and individuals. It’s not just managers and practitioners that have been won over by the solution. Parents receive automatically generated daily diaries via email and can access even more information through a dedicated Parent Portal. The portal allows them to manage their account and see how their child is progressing and – able to view all the observations, update records (such as changes in dietary requirements) and log messages – parents are more engaged than ever before. Twelve months after going fully operational with Prism, Rainbow Smiles has recorded its best ever figures – improving turnover by £100,000! Operating at full capacity and with word spreading amongst parents, the nursery waiting list now extends to 2016. After hearing about Rainbow Smiles’ success, an increasing number of nurseries and pre-schools are making use of our expertise and installing Prism to take complete control of their setting. If you’d like to find out how our experienced consultants can help you use Prism to get the most out of your early years business, please do get in touch.